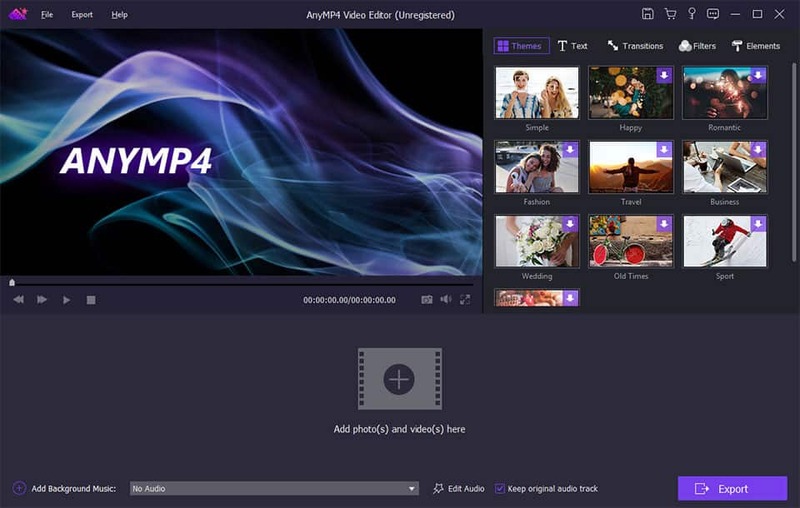 AnyMp4 Video Editor aims to help you edit the video from many aspects. You can easily get a high quality video with its editing functions. With it, you are able to set video speed and volume, optimize brightness and contrast, crop video frame and clip video to several segments. It has many other editing functions such as clipping, cropping, rotating, and adding watermark. Key Features 1. Set video speed and volume You are allowed to change video speed to make slow motion video or speed up video, and set the video volume to meet your needs. 2. Optimize brightness and contrast You can easily adjust the brightness of a video file, and switch the difference between the darkest and lightest areas of a video. 3. Crop video frame Crop video in 16:9, 4:3 or other aspect ratio. So you can adapt video to any screen or platform such as TV, computer, smartphone, or tablet. 4. Clip video to several segments Clip and trim video files to remove unwanted video parts and reduce videos to the most important sections. It is up to your needs.